We've got a great double bill coming right up on Aug 13: a workshop and think&drink5 for mingling afterwards. For those not yet in the know, RYSEC is the Rotary Youth Social Entrepreneurship Challenge, a social business plan competition. It's a collaboration with Rotary in Singapore which we supported them in the creation of in 2009, continue to be involved in its evolution, and huzzah it's now the 3rd year running. 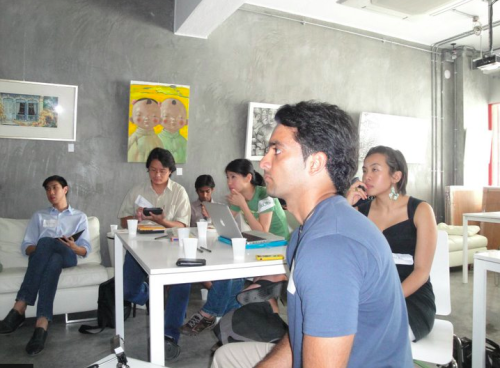 We had a first workshop on Aug 6 covering the basics of SE for those curious about the idea of social enterprises. This Sat Aug 13 will be our second workshop (there are only 2!) for those who are preparing to launch their ventures (or who may have just done so), covering slightly more technical topics like strategy mapping, business model generation, etc. And because the workshop will lead in straight to think&drink5, we HAVE to make a special mention because - this one will have a similar theme! Social Entrepreneurship: The Hype, The Highs, and What You Don't See. Featuring Olivia Choong, Meng Wong, Tong Yee. Moderated by lovely new entrant to Singapore's shores, Lara Dudley.